We are the Only Quilt/Fabric Shop and Full Service Upholstery Shop in the Florida Keys. Serving the public for over 30 Years. Purchases Online or in House are a Breeze! 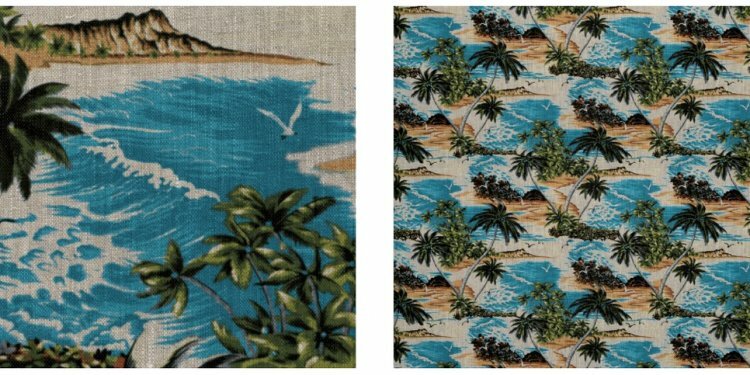 Our quality quilting and clothing fabrics feature an array of nautical, beach, birds and other tropical prints. Also, check out our Lovely Batiks and Spun Crushed Rayon Collections. All perfect for any project, big or small. Bringing the Tropics to you, wherever you are. Browse our online selection of upholstery fabrics, such as Barkcloth, Sunbrella, cotton, poly and acrylic blends. Our very experienced staff specializes in Reupholstering of all types of furniture, as well as, Cushions, Pillows, Drapes and Bedding. If you are in the area, wander in the storefront to find all the essentials for quilting, yarn, and upholstery, including the know-how to get any project done. Our very friendly and helpful staff is here to guide you through the process and make your vision a reality.